In September 1891, another class room was opened and Mr. Clarence S. Griffin was appointed Principal of the school. The following September another class room was opened and the school has since continued with seven class rooms occupied. there is yet one unoccupied room. The ground floor of the building is occupied by the Principal's office and reception room, the boiler room and two large courts, on each for the boys and girls. The second and third floors are each occupied by four class rooms and reception rooms for the teachers The class rooms are large, well lighted and ventilated, and each capable of seating sixty pupils. Each room is provided with a cloak room and the cloak rooms, courts and the class rooms are all heated by steam. 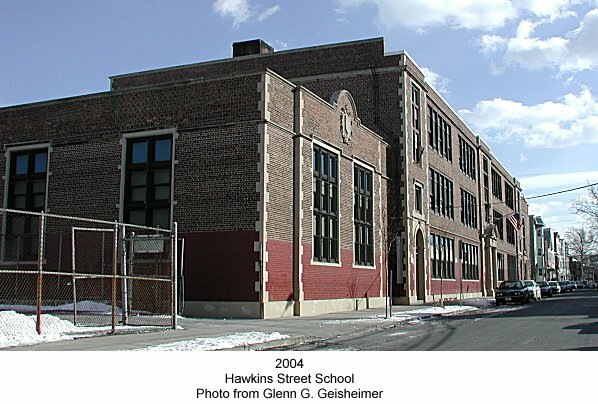 The building and side are valued at $36,000.